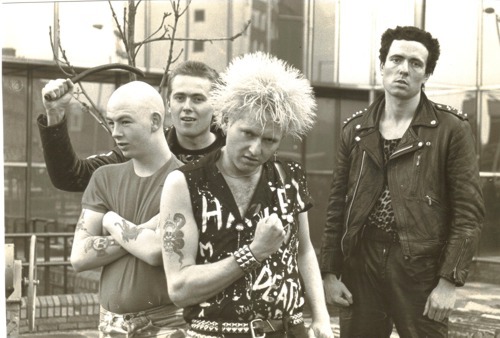 It’s not often that Punk Rock is celebrated in a feature film, let along one about the Belfast Punk scene. 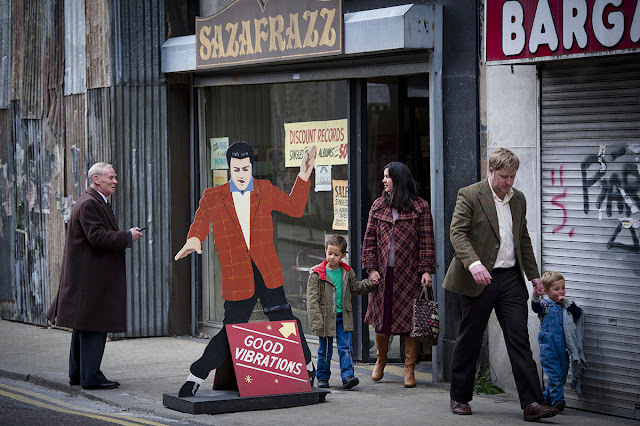 The concept for Good Vibrations (2012) began in 1992 when writer Glenn Patterson first met Terri Hooley, but it was not until he met fellow Queens University undergraduate Colin Carberry that a screenplay was put together on Hooleys life and work. It was an ‘on off’ project for twenty years while Hooley decided if he was happy with it going ahead and then the long wait while funding was secured. 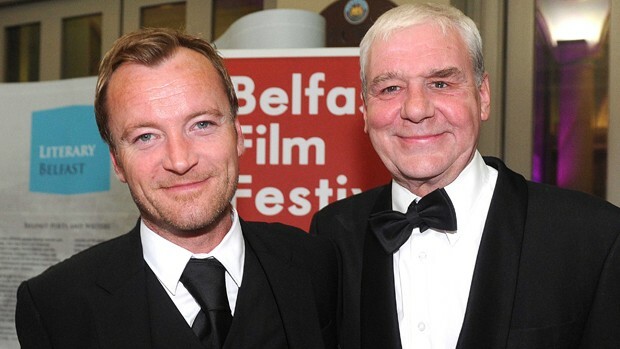 Richard Dormer with Terri Hooley. Lisa Barras D’Sa and Glenn Leyburn (Cherrybomb 2009) have now directed a biopic about how against all odds this hippie music lover and son of a dedicated life long communist, opened his record shop named Good Vibrations in 1978 located in part of a small derelict building on Great Victoria Street or as it was known in Belfast, ‘Bomb Alley’. The shop was originally opened to sell rock, folk and country music that was until Hooley discovered Punk. From that time onwards he stood out against sectarianism in Belfast during ‘The Troubles’, encouraged the growth of the city’s Punk movement to encompass both side’s of the city’s religious divide, became a record producer and manager, and set up the indie label that released the late great John Peel’s all-time favourite single Teenage Kicks by the Undertones. Good Vibrations in Bomb Alley. This movie is not about ‘The Troubles’ its about a man that did something extraordinary during this violent period. A man who was not motivated by money, seeking no personnel monitory reward, one of life’s good guys, in fact a rare being in any day and age. This is a sincere film, maybe a little formulaic, but great entertainment with the added bonus of some great music that unfortunately is little heard today. Character actor Richard Dormer very expertly plays the man that became known as the Grandfather of Belfast Punk while Jodie Whittaker plays Hooley’s long-suffering wife Ruth. This wee gem of a film should be seen by all, guaranteed to put a smile on your face. Don’t forget to stay for the credits to hear the brilliant closing track from The Outcasts!